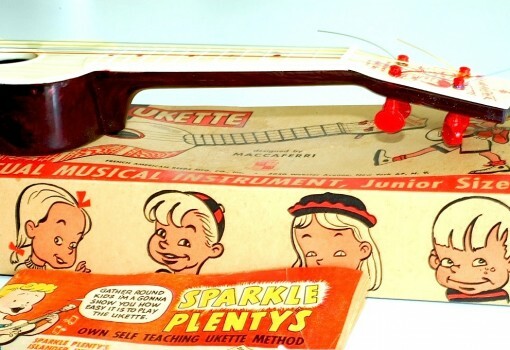 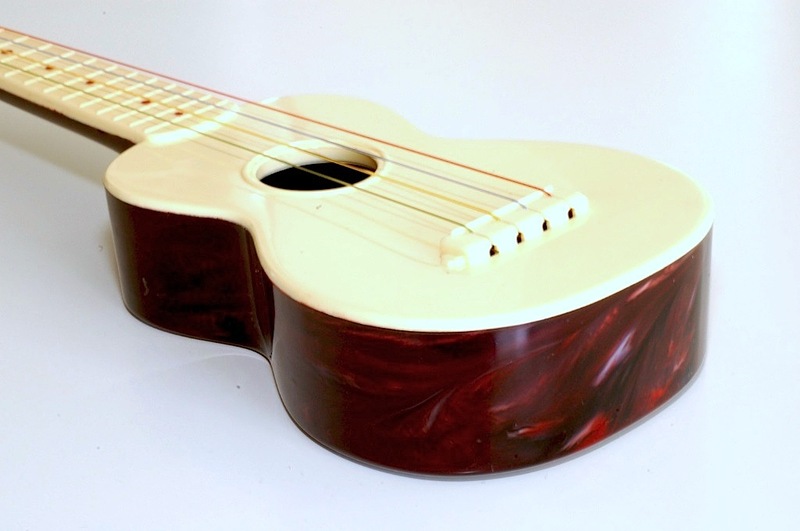 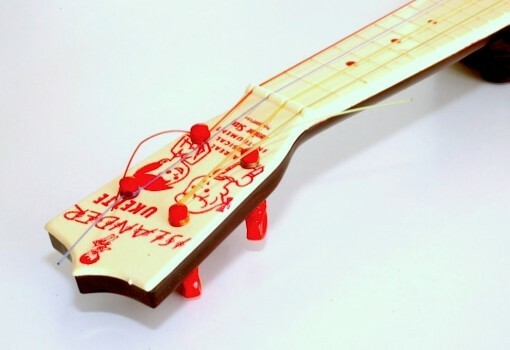 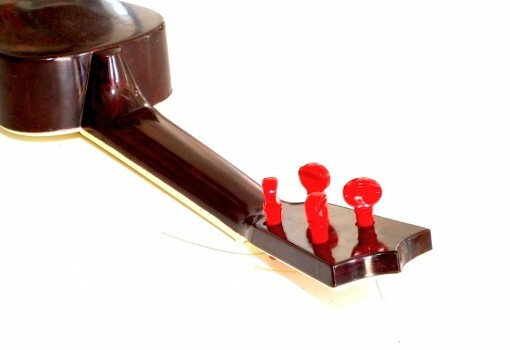 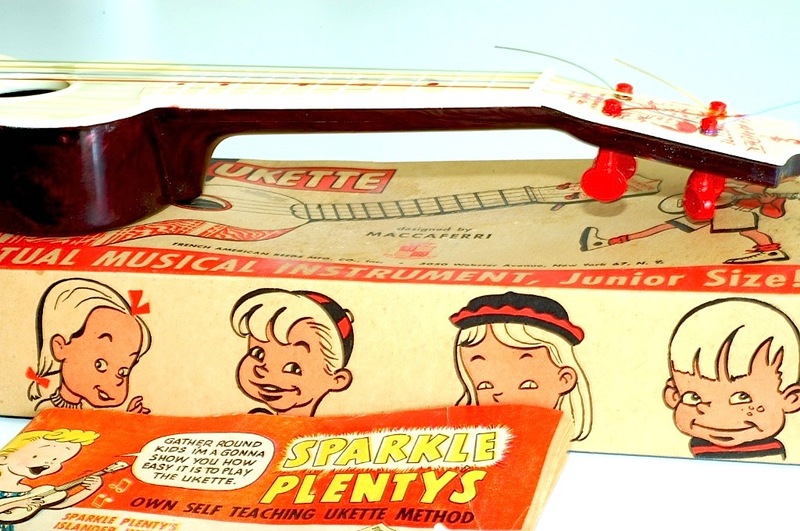 Aside from its tiny dimensions, the Ukette is notably different from the regular Islander, simply take a look at its tuning pegs; they are similar to other, cheaper plastic ukuleles of the time, which incorporated a plastic ‘push-pull’ locking system to keep the friction pegs in place once tuned. 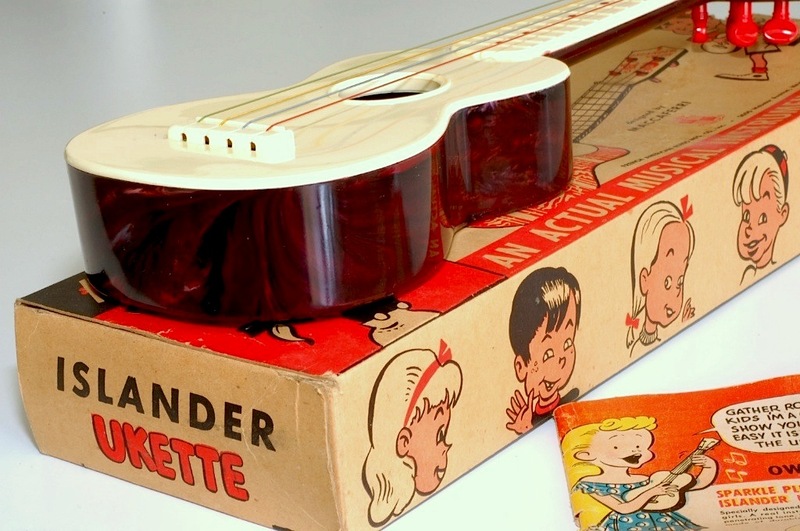 However, the most surprising element of this cute instrument is that you can actually tune and play it to make a real party-piece! 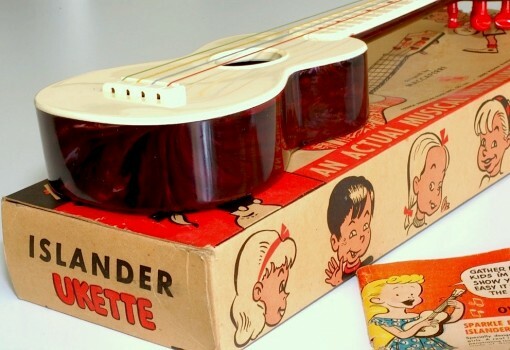 Our example here is in near-mint condition with its original box, instruction booklet and even comes with the original multi-coloured strings, which can no longer be bought.